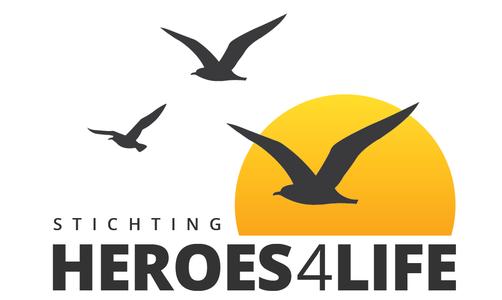 Heroes 4 Life Foundation started in 2017. The aim of the foundation is to let the children and young people who are seriously or chronically ill forget their worries for a moment. Because the concerns go to the background, we hope to achieve that they can enjoy a nice experience again. For young people in the age of 16 up to and including 25, these young people also go out with all of their fellow-sufferers who are themselves sick, suddenly they are no longer special so that they can really enjoy themselves and that friendships are formed that are very valuable. This in the form of different types of holidays. Sailing, deliciously empty your head on the water. Help with sailing, with your own possibilities. Or by diving under the guidance of a professional team. Or just by learning to ride a horse and to be guided by a horse, but that you still have the reins yourself. These are activities that are offered for free. This is possible through sponsors and donors, and many enthusiastic volunteers. We also regularly organize shorter trips such as weekend diving or a day of paragliding so that young people can see each other again. With all holidays and trips, the idea is always that someone who feels a little less like that can withdraw and rest. So no bus holiday where you continuously have to join but a sailing ship with your room / bed always at hand. Or a midweek on the management where the group accommodation is also on the same management.